Theme Park Review • The Cruise Ship and Cruise Line Discussion Thread! The Cruise Ship and Cruise Line Discussion Thread! Re: The Cruise Ship and Cruise Line Discussion Thread! Hurricane Irma is a category 5 hurricane with sustained winds around the center at 185 mph and is currently located about 210 miles east of Antigua. The storm continues its westerly track at 15 mph. While it is difficult to predict the path of the storm at this time, it is likely that Irma will impact Florida at some point this weekend. In an effort to give you advance notice of any changes while also taking into account the most accurate forecast information, we will be providing updates on any impacted sailings no later than 2 days in advance of departure. We are very sorry for the impact this storm has had on your vacation and please know that we made the decision with the safety and comfort of our guests and crew in mind. The cruise fare and fees will be 100% refunded to the original form of payment, and we are also offering a 25% future cruise credit, based on the cruise fare, if a new cruise is booked in the next 30 days. If you have any questions, please don't hesitate to call 1-800-256-6649. For all guests currently sailing with us, the Captain and team onboard will be providing you specific updates at 1 pm and 615 pm daily, and of course will update you immediately if anything changes. Should we need to make additional itinerary changes or cancel an additional sailing to avoid the storm, we will reach out to guests directly, as well as update our website and social media feeds immediately. Please know that the safety and comfort of our guests are our top priority and we will continue to provide regular updates throughout the week. ^ Norwegian ships have some of the most amazing looking features, and shows at sea... But dear god I can't stand the way the ships look. (Design wise... not art wise) But. That's just my opinion. Pretty interesting read and info about Symphony of the Seas. I'm waiting on the one with a legit amusement park area complete with a coaster. It's coming, I just know it is. MSC toyed with a drop tower idea for one of their new ships. ^ Same. I'm waiting for a coaster, and drop tower on a cruise ship. It's going to happen. It is just a matter of time. "Introducing the worlds first Roller Coaster At Sea!" I'm betting Carnival or Royal will be the first to jump on board. 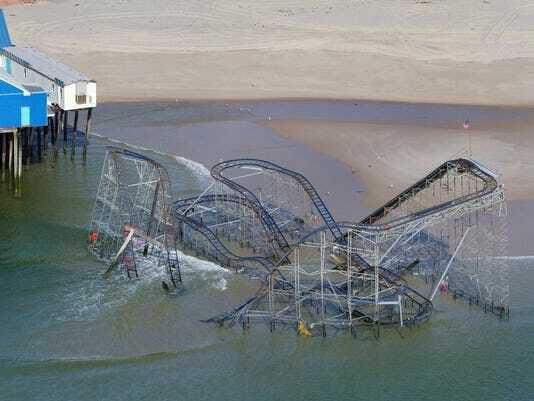 DoinItForTheFame wrote: "Introducing the worlds first Roller Coaster At Sea!" ^ I thought of that as soon as I typed that message. ^^ That's definitely a Klassy Kruise Koaster. Carnival should snap it up, immediately! Speaking of Klassy Kruise... Just came across this on Yahoo News. An 8-year-old girl died Saturday after falling from one deck in a cruise ship's interior atrium to a lower deck, officials said. The girl, whose name has not been released, fell on the Carnival Glory cruise ship while it was docked at the Dante B. Fascell Port of Miami on Saturday morning. Miami Fire Rescue personnel responded to the scene around 8:15 a.m. ET and provided emergency care to the child, according to the Miami-Dade Police Department. The girl was subsequently taken to the nearby Ryder Trauma Center, where she died from her injuries, police said. Erika Benitez of Miami-Dade Fire Rescue told ABC News the girl was in critical condition when she arrived at the hospital. It's unclear what led the child to fall. Homicide detectives are investigating the incident, police said. Carnival Cruise Lines said the the ship's command immediately contacted police after she fell and transported her to the ship's medical center. I still can't think of anything worse than going on family vacation, and returning home with one less family member. Thoughts are with her family.